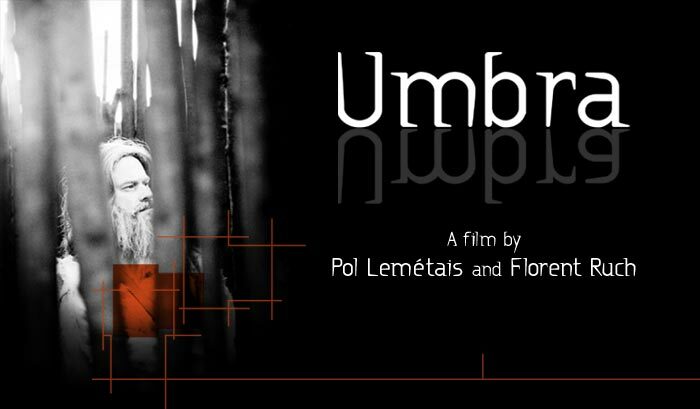 This film portays the unconventional life of Umbra in a remote time and place. Umbra thought he could take his Destiny in hand, in a most amazing manner. 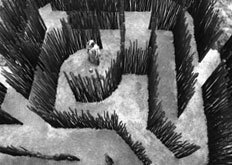 Pretending to be dead on a battlefield, he then roamed throughout the world in order to lose, and eventually find himself. The filmakers, Pol Lemétais and Florent Ruch, are both nearing 30. After having completed their studies in an Art school in Paris, they ave been working together for several years on various artistic projects. "Umbra" is their first film. Type : Silent movie with music. Without dialogues or titles. Date of production : October 2003. Xavier TCHILI, Louise THIERRY, Marcel MULLER, Laurence BENEZECH, Françoise SOUCARET, Nicolas WOHREL. Produced by : Pol LEMETAIS & Florent RUCH. Awards : Special Jury prize at the Oskariada International Film Festival in Warszawa, Poland, april 2004.